Dog Bite Prevention Programs - Join us and help our Mission! 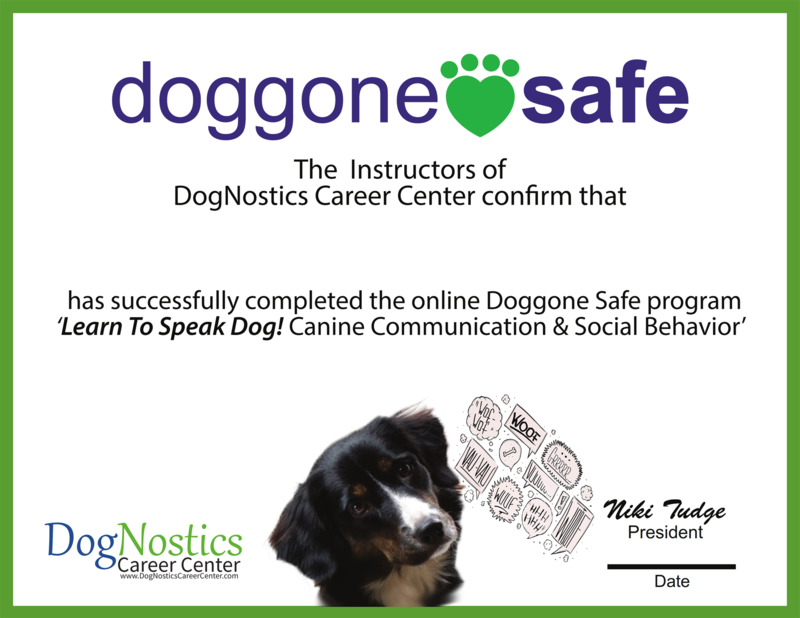 Doggone safe provides several membership options and educational programs. Each come with a selection of resources and support tools to help you provide better education on this important topic, whether you hold dog training classes, work with community group or help private clients. The Be a Tree program is a dog bite prevention seminar program for school-age children. This can be delivered to individuals, private training sessions and in workshops and groups. If you join as a Be a Tree member you receive a discount off the Be a Tree Presenter Kit and access to supplemental educational files and handouts. 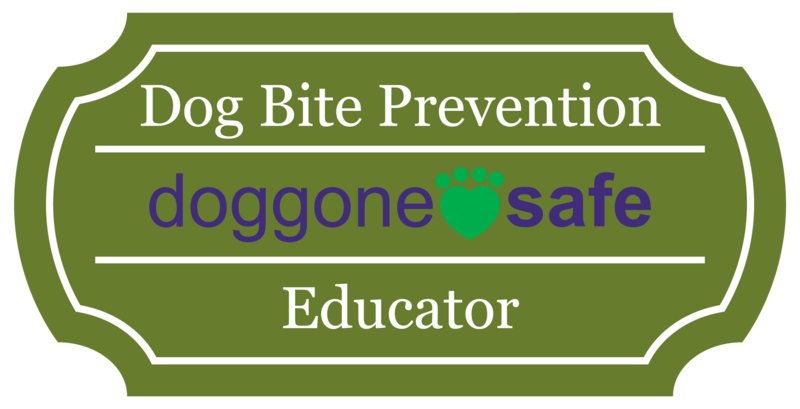 Join Doggone safe as a Dog Bite Safety Educator. 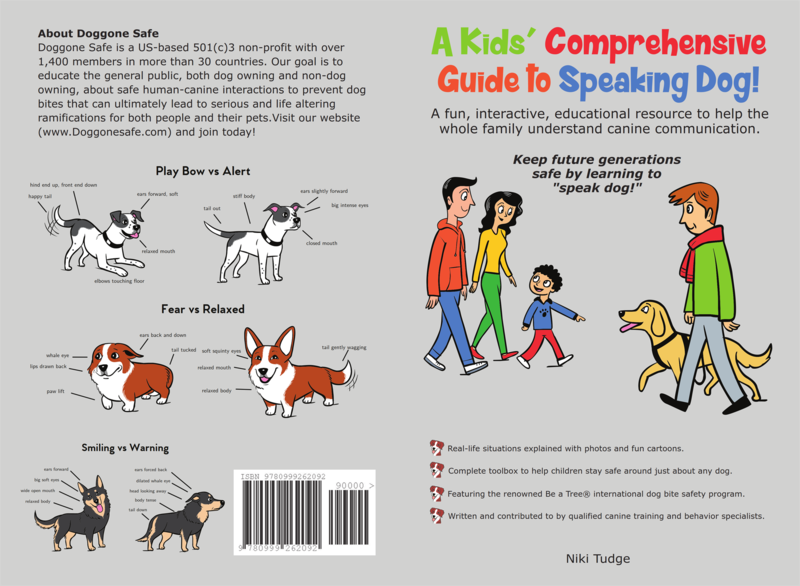 You will get access to the Speak Dog Certification Program and lots of educational materials. Become your community Dog Bite Safety Educator! 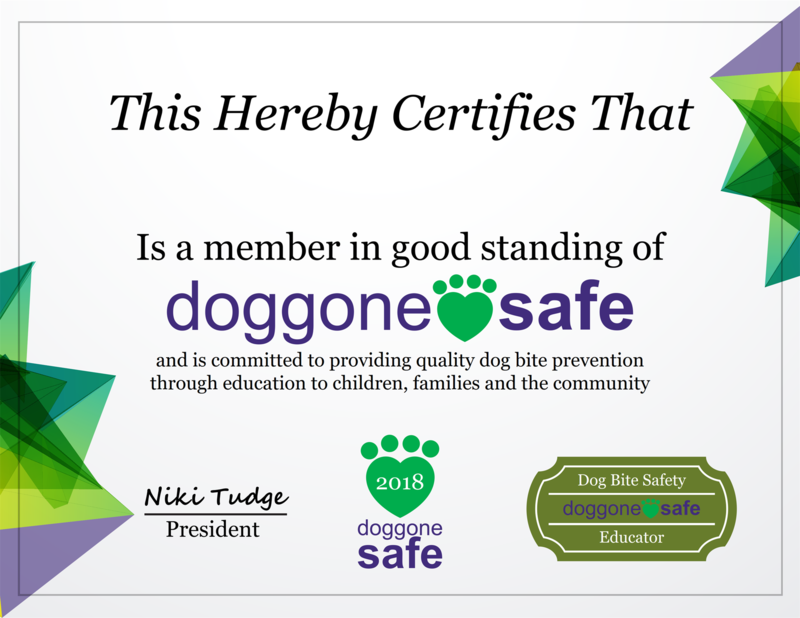 Become an individual member of Doggone safe and fly your logo and certificate proudly. You will gain access to lots of educational resources and industry discounts.